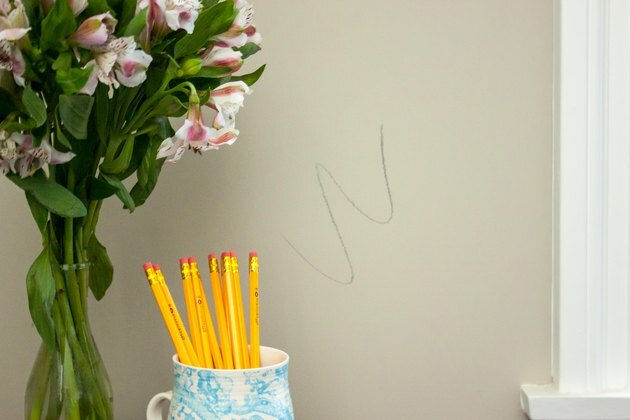 A pencil mark on the wall doesn't have to mean a fresh coat of paint, new wallpaper or finding a way to hide those unsightly scribbles. 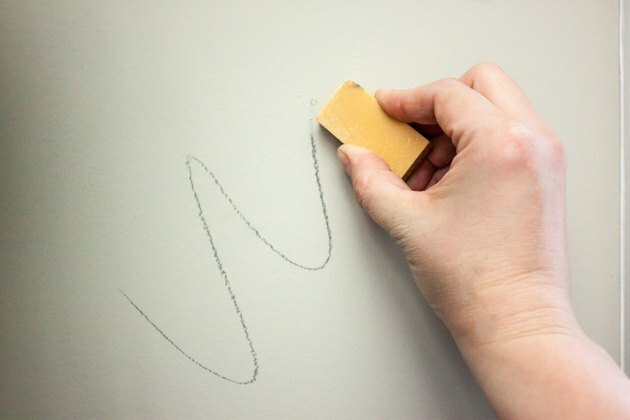 In many cases, pencil marks can be "erased" from the wall with an art gum or melamine-foam eraser. If erasing doesn't work, wipe away the marks with mild household abrasives. Art gum erasers are available at artist supply stores and some craft shops. An art gum eraser is gentler than many pencil erasers, making it a better choice on delicate wall coverings such as non-washable wallpaper. How To Do It: Rub the pencil marks with an art gum eraser, working from one end of each mark to the other, rather than rubbing across the marks. This helps prevent smearing. Check the eraser frequently and rotate it to a fresh area if it becomes dirty to avoid creating a larger stain on the wall. 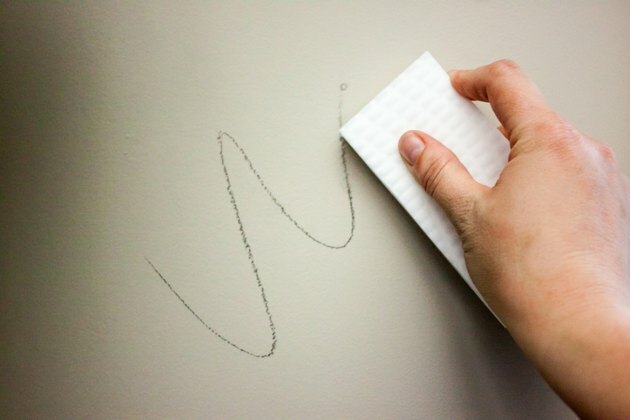 A melamine-foam eraser -- the type designed for general household stain and scuff removal -- also removes pencil marks from walls. The foam eraser works much like a pencil eraser, wearing down as it cleans. 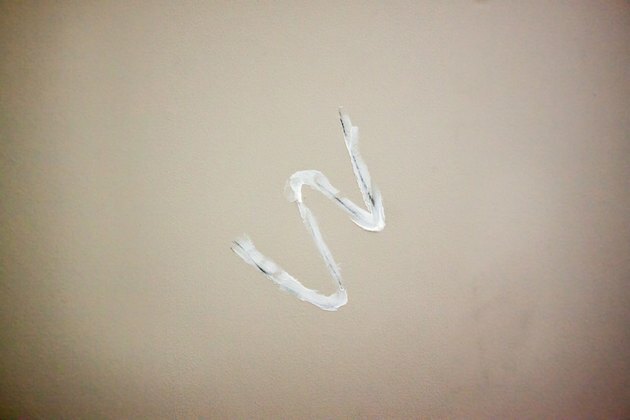 How To Do It: Wet a corner of the foam and gently rub the pencil mark, working from one end of the stain to the other. Baking soda acts as a mild abrasive, gentle enough to remove pencil from a wall without harming many types of wall surfaces. 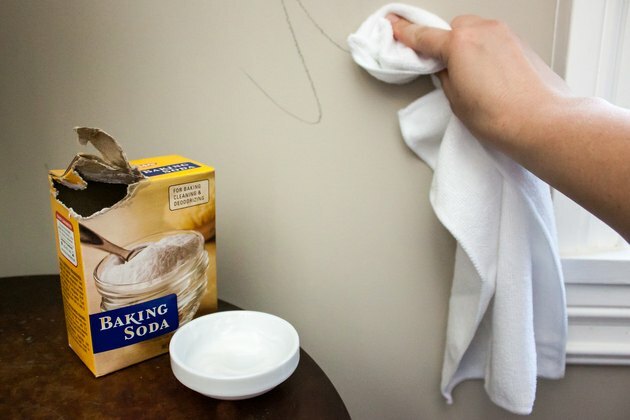 How To Do It: Dip a damp white cloth into baking soda; then rub the pencil mark following the direction of the line. Brush the baking soda off the wall or wipe it with a fresh damp cloth, applying more baking-soda scrub as needed. Keep the cloth only slightly damp -- just wet enough so the baking soda clings to it. 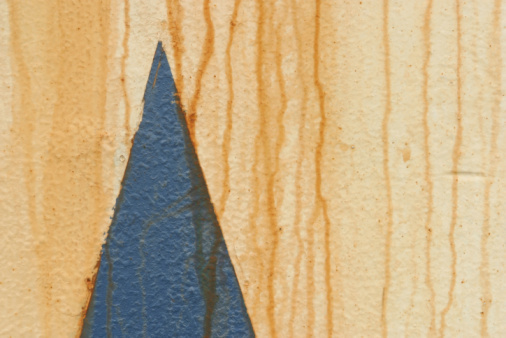 Over-saturation may cause moisture damages on flat paint or delicate wallpaper. Mild abrasives in the toothpaste scrub the stain away without removing a paint finish or paper-based wall covering. How To Do It: Apply a small amount of a non-gel white toothpaste directly on the pencil markings and allow it to sit for a minute or so. Wipe in the direction of the marks with a slightly damp white cloth, scrubbing the stain away. * Wipe away the toothpaste with a slightly damp cloth.